The Scavi turned out to be an amazing experience all around. The entrance to the tour is on the side of St. Peters Square. You have to go through the Swiss Guard security and then are led inside and down some steep steps into what appears to be an underground city. Don’t get me wrong, it is small, but you are literally walking the streets of Rome from nearly 2000 years ago. There are several mausoleums, which have been excavated, and you can see the detailed frescoes and carvings which adorned these family burial plots. The tour ends with a three sided view of the presumed final resting place of St. Peter. You can literally see what is believed to be the bones of St. Peter. The incredible thing is they are located directly beneath the current alter of St. Peter’s Cathedral, the center of the Catholic faith. “And I say also unto thee, That thou art Peter, and upon this rock I will build my church” – I never knew that was a literal statement. We are not a religious family, but everyone agreed this tour was special. 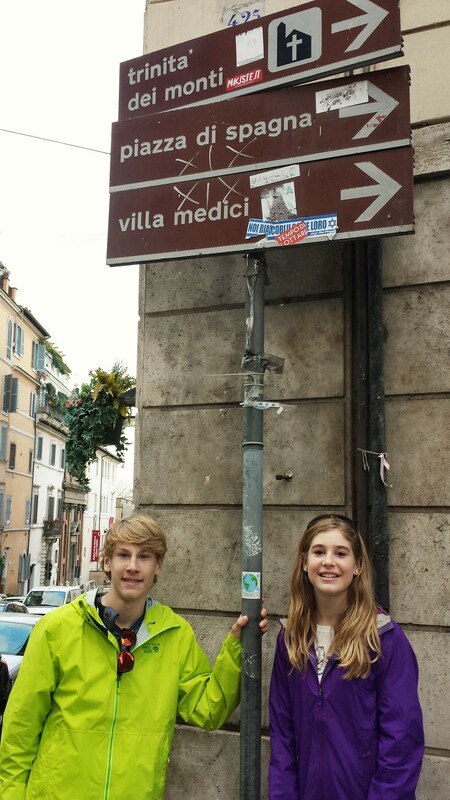 Rome was wonderful, but we were all ready for the real adventure of our trip to begin – the safari! We got the kids binoculars for the safari. They could not help but to bring them to see the Pope - they cracked me up. If you have ever been to Rome you know this is a rare site. These steps are ALWAYS full - this was right after a rain so they were empty - very cool. When I was done taking this picture a guy was waiting patiently behind me to get a drink. I had no idea people still used them. Exhausted from a day walking everywhere! We stayed at the Westin Excelsior using some of our last SPG points. It was great to be in a hotel again for a few days. One night at dinner we went to a family owned restaurant where the wife and husband cook, serve and play piano and sing in their spare time. At one point they made all the tables get up and dance. Lea was thrilled! 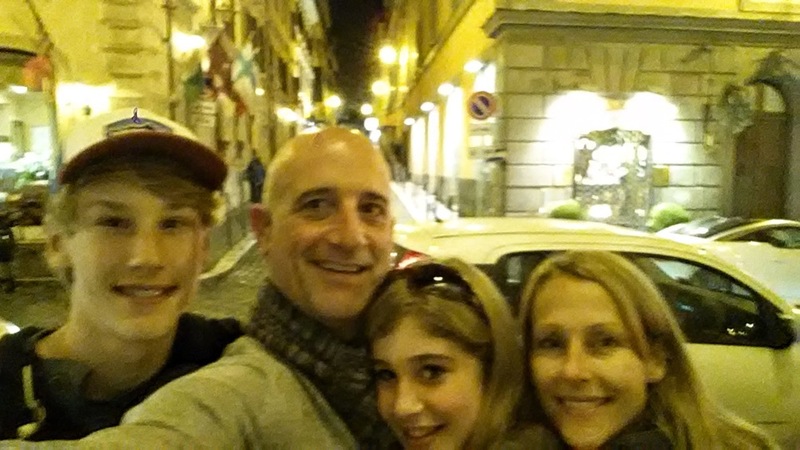 Really bad selfie, but this was our last night in Rome. We thought it was going to be a really slow night, but ended up having a great time!